— offer more than 30 years of combined service to the practice. They assist the doctors in pre- and post-operative care. Our anesthesiologists are certified by the American Board of Anesthesiology, and are trained and certified in advanced cardiac life support. Our patient coordinator, also offers a wealth of experience, and along with our other skilled staff, will help to organize every aspect of your visit. To request your consultation, go Inside Online for exclusive Web benefits, including the ability to request a FREE consultation at select times. Members of our staff are ready to help you and can share their own personal surgical experiences. You are truly in good hands with our staff. Erica assists all clients during the check-out process. Erica attended Southern University in Baton Rouge, Louisiana. She has been in the plastic surgery industry for over 10 years. She is here to ensure that you have had exceptional service and care, your purchases are completed, and that your next appointment is scheduled. Erica is usually the last friendly face you will see before you leave our office. Maria has been with Marina Plastic Surgery Associates Medical Corporation since 1989. Most of her time is spent with post-operative patients and patient education. She is also the Clinical Nurse coordinator for the FDA regulated clinical breast implant studies in our office. Maria has a Master’s Degree in Nursing from USC. She enjoys working with patients and directing them through a positive surgical experience as well as the many other services we provide. Patrice has been with Marina Plastic Surgery Associates Medical Corporation since 1995. She specializes in preoperative preparation of patients for surgery and postoperative care. She is a registered nurse with an associate in science degree. Having graduated from Bergen Community College in 1975, Patrice has enjoyed many different areas of medicine, but specifically loves the Plastic Surgery field. Tami Greiner, R.N., joined Marina Plastic Surgery Associates in 2002. She LOVES working with patients and their families pre-and- postoperatively. She is a mother of twin boys who keep her busy when she is not in the office. Tami received her nursing degree from Santa Monica College, and also attended UCLA on a full athletic scholarship for swimming. Jessica has been with Marina Plastic Surgery since 2000. She serves as an insurance coordinator in the billing department and will graciously be your personal liaison for all insurance-related matters! Jessica is the key contact person at Marina Plastic Surgery for obtaining the maximum benefits from your insurance carrier. 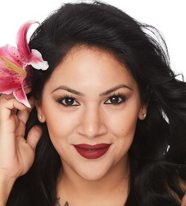 Rachael Martinez works in our practice as a licensed Master Medical Aesthetician, Certified Permanent Make-Up Artist and Body Contouring Technician. Rachael is dedicated to improving patients’ overall appearance and thrives on making people feel more confident. Her extensive knowledge of skin care products and procedures will ensure you get the best treatment available in our industry. Rachael’s specialty is to craft a regimen that addresses individual needs and to assure her male and female patients leave with visible results. Lindsey has been in the Aesthetic Industry since 1999; and with our practice for 10 years. She brings an extensive background in cosmetic procedures, services and products. As a Patient Liaison, Lindsey will be there to answer any questions you may have before and after your procedure, ensuring that your experience at Marina Plastic Surgery is amazing!